Don't waste your time. This book was trash. don't really help anyone. In fact, most people ignore these reviews, relying only on the ones with some real meat to them. Ready to write better reviews? Then keep reading. Dracula begins by following Jonathon Harker, a solicitor who is visiting Count Dracula in Transylvania on business. However, Dracula is a vampire and has no intentions of letting Jonathon leave the crumbling castle. In England, the lovely young lady, Lucy, falls ill. She becomes quite pale, begins sleepwalking, and has two peculiar puncture marks on her neck. When the doctor can't figure out what has befallen her, he calls on his mentor, Van Helsing, who might have an idea what ails the young woman. Of course, Van Helsing recognizes what's going on—she's fallen victim to Count Dracula. The summary serves two purposes. First, it gives potential readers a better idea of what the book is actually about. Second, it proves you actually read the damn thing. By demonstrating that you know the plot, you're giving the subjective part of your review more authority. To modern readers who are familiar with vampire lore, a lot of the foreshadowing may seem painfully obvious or hilariously cliché, but Bram Stoker's Dracula is a classic for good reason. The story is masterfully suspenseful with a satisfying amount of action and gore. These elements have prevailed through the test of time. However, the book is still heavily steeped in its contemporary Victorian virtues. Women are supposed to be chaste and innocent (good), but when they transition to vampiric, they become seductive and physically voluptuous (evil). To close any review, recommend the book to people who may enjoy it. Even if a particular book wasn't your cup of tea, there's probably someone out there who would love to read it. I tend to focus on fans of particular genres or tropes. Feel free to mention other books which are similar or authors with complementary styles. If you're a fan of classic horror or vampire lore, you will love Dracula. A final note: A review is just as much a reflection of you as a person as it is of the book. Readers frequently rely on reviews before deciding whether to purchase an item, and a terrible review can deter them from reading something from a new author. 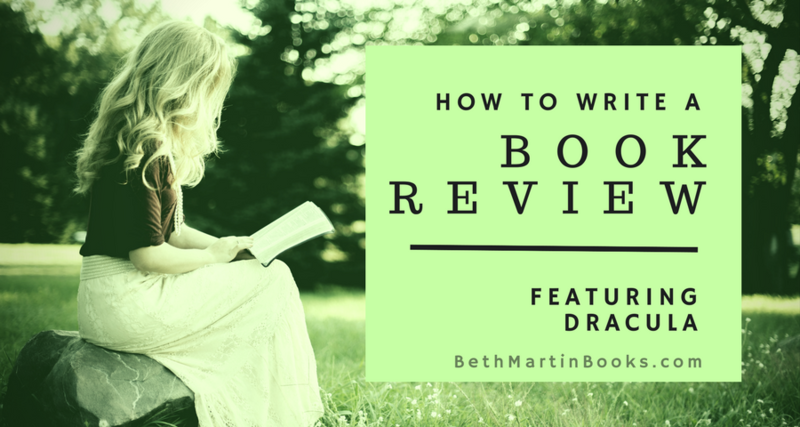 If you really feel like you need to rate a book as 1 or 2 stars, give specific reasons of why that book fell flat—those flaws could be no big deal to other readers looking for their next novel.